ThisPersonDoesNotExist is my favourite site of the year so far. It’s mesmerising. 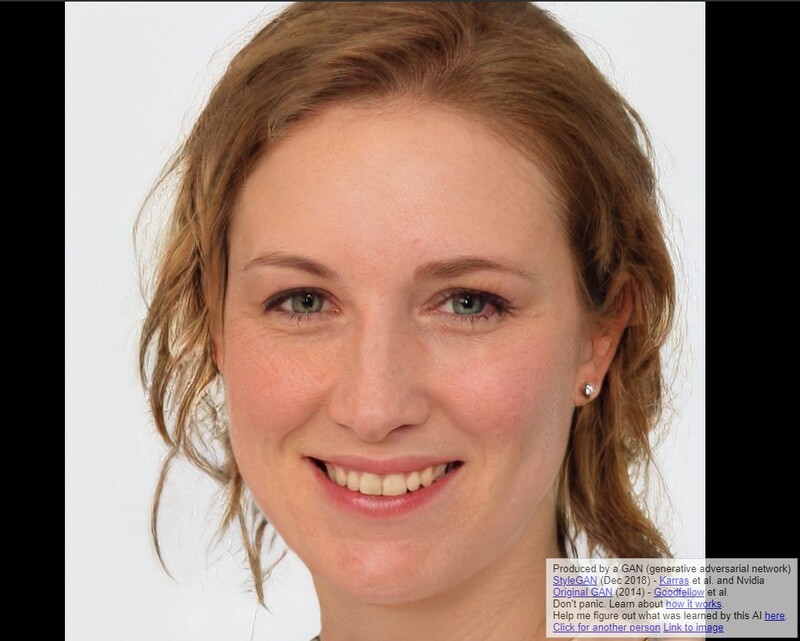 Each time you look at the site, it generates a face from a very clever Machine Learning algorithm. And the algorithm, well the learning, only gets better with time. 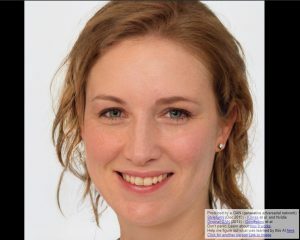 If the faces on ThisPersonDoesNotExist are indistinguishable from real-life portraits, how much longer before we are looking at other computer-generated artefacts? 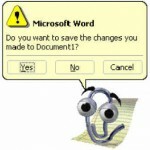 Newspaper articles written by robot journalists and TV robot news anchors have already been done. When will we started reading fictional news items, totally fabricated from non-real photos and facts? How will we certify real things? I’ve looked at the manufacturers’ websites and YouTube channels to get their official view – rather than a sneak preview clip from a cunning motoring magazine. Technology in the car industry seemed to stagnate for a few decades until Google and Apple shook up the existing manufacturers. 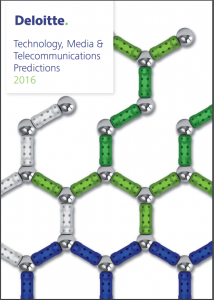 We can now see a range of innovative ideas and themes across the industry. “Two, three or four years ago we could not have imagined building such a complex vehicle which is capable of doing so much. “We are driving backwards. Absolutely incredible driving because it’s now like sitting in a train or a private Learjet. Not a concept car here… the latest BMW 7 series with remote control parking… it can drive into and out of a garage without anyone inside. Plus gesture control (i.e. touch-less) for the dashboard. Not sure about the fragrance control though. 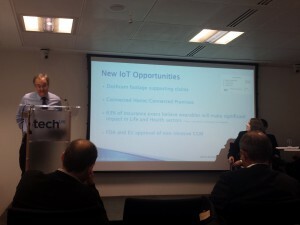 This morning I attended a TechUK seminar “Insurance and the Internet of Things”. There were some good speakers who raised quite a few points which I hadn’t heard or thought of until today. Clearly there are some leaders in the space, who are not insurers and are gearing up for a battle for new types of insurance products. 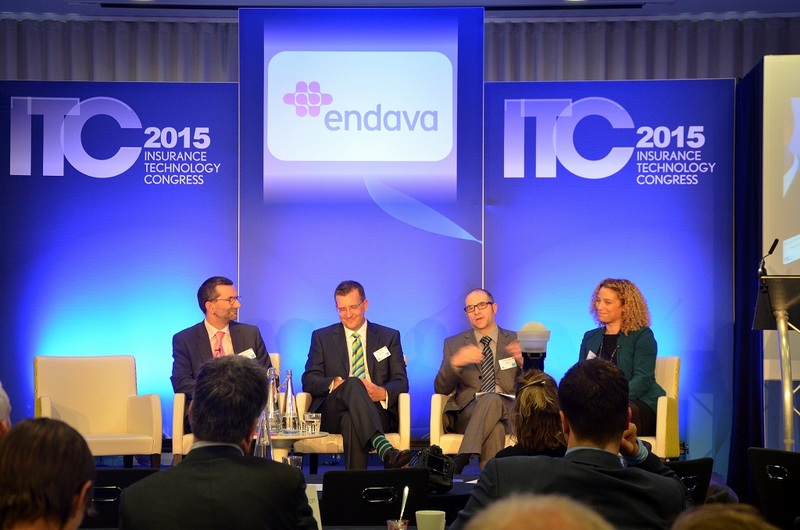 Earlier this week I was on a panel at the ITC (Insurance Technology Congress) 2015 event. My panel was dealing specifically with Internet of Things in the insurance industry. 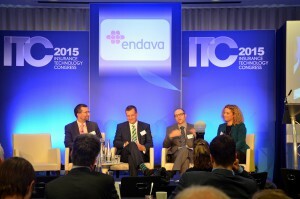 The event was aimed at CIOs of large, mainly commercial insurance companies. 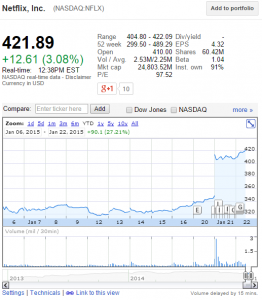 The CTO and CIOs in the room spend their time and budget keeping the lights on – i.e. keeping their systems in tip-top shape. These CIOs and CTOs are rightly proud of their systems’ stability and availability, and until now innovation is a distant second priority. However, new technologies and technology companies are entering the market, and this conference was a joining of minds to create a plan for the future. 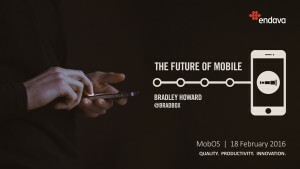 The excellent Favor app. Someone in my office thought this guy looks like me. I’m not so sure. 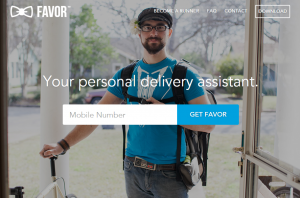 Whilst I was in the US last week I heard about Favor, a new app which provides a concierge/ delivery service. Although Favor is only available in half a dozen US cities, it seems to be growing very quickly and it’s only a matter of time before it’s available internationally. Favor enables a customer to order an item from a nearby shop and have it delivered straight away. The average delivery time is 35 minutes. It costs $5 plus 5% of the product(s). The product can be food, dry cleaning, clothing, groceries, etc., although this being America, they won’t deliver alcohol. Can I Stream.It? – Almost the EPG (Electronic Programme Guide) of legal streaming sites. BBC News – Windows 10 to get ‘holographic’ headset and Cortana – Windows 10 looks great and this is one of the best descriptions of forthcoming Microsoft products (excluding Office, Sharepoint, development tools…). Davos 2015: The university of the future – Some good thoughts on the future of universities, even if it’s a somewhat biased article. 10 Innovation-Killing Phrases That CIOs Should Refute – A great resource to dip into when necessary. 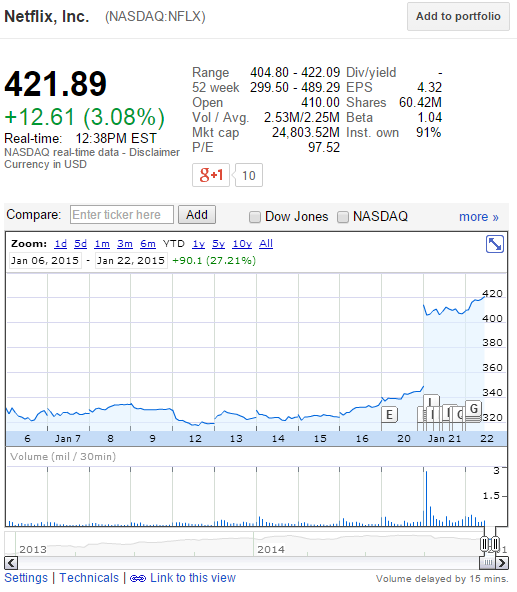 BBC News – Netflix shares jump 12% on growing global membership – Glad I bought some shares six months ago. Seriously though, Netflix has become synonymous with legal movie streaming.